Eero Hyvönen is director of Helsinki Centre for Digital Humanities (HELDIG) at the University of Helsinki and professor of semantic media technology at the Aalto University, Department of Computer Science, where he directs the Semantic Computing Research Group (SeCo) specializing on Semantic Web technologies and applications. A major recent theme (since 2001) in his research has been development of the national level semantic web infrastructure and its application in different areas. Eero Hyvönen has published over 400 research articles and books and has got several international and national awards. He acts in the editorial boards of Semantic Web - Interoperability, Usability, Applicability, Semantic Computing, International Journal of Metadata, Semantics, and Ontologies, and International Journal on Semantic Web and Information Systems, and has co-chaired and acted in the programme committees of tens of major conferences. Text books and edited volumes/issues. Eero Hyvönen: Semanttinen web -- linkitetyn avoimen tiedon käsikirja (Semantic Web -- Handbook for Linked Open Data). Gaudeamus, 2018. Eero Hyvönen, Eva Blomqvist, Valentina Presutti, Guilin Qi, Uli Sattler, Ying Ding, Chiara Ghidini (Eds.) Knowledge Engineering and Knowledge Management. EKAW 2014 Satellite Events, VISUAL, EKM1, and ARCOE-Logic. Lecture Notes in Artificial Intelligence, Springer-Verlag, 2015. Patrick Lambrix, Eero Hyvönen, Eva Blomqvist, Valentina Presutti, Guilin Qi, Uli Sattler, Ying Ding, Chiara Ghidini (Eds.) Knowledge Engineering and Knowledge Management. EKAW 2014 Satellite Events, VISUAL, EKM1, and ARCOE-Logic. Lecture Notes in Artificial Intelligence, Springer-Verlag, 2015. Krzysztof Janowicz, Stefan Schlobach, Patrick Lambrix, and Eero Hyvönen (Eds. ): Knowledge Engineering and Knowledge Management. 19th International Conference, EKAW 2014, Proceedings. Lecture Notes in Artificial Intelligence, Springer-Verlag, 2014. Eero Hyvönen: Publishing and Using Cultural Heritage Linked Data on the Semantic Web. Synthesis Lectures on The Semantic Web. Morgan & Claypool, Palo, Alto, Ca, USA, 2012, 159 pp. Available also via Amazon.com. Dimitrios A. Koutsomitropoulos, Eero Hyvönen, and Theodore S. Papatheodorou (eds): Semantic Web and reasoning for cultural heritage and digital libraries. Semantic Web – Interoperability, Usability, Applicability. Special Issue, Vol 3, No 1, IOS Press, 2012. Lora Aroyo, Grigoris Antoniu, Eero Hyvönen, Annette ten Teije, Heiner Stuckenschmidt, Liliana Cabral, Tania Tudorache (Eds. ): The Semantic Web: Research and Applications. 7th Extended Semantic Web Conference, ESWC 2010. Proceedings, Part I. Lecture Notes in Computer Science 6088, Springer-Verlag, 2010. Lora Aroyo, Grigoris Antoniu, Eero Hyvönen, Annette ten Teije, Heiner Stuckenschmidt, Liliana Cabral, Tania Tudorache (Eds. ): The Semantic Web: Research and Applications. 7th Extended Semantic Web Conference, ESWC 2010. Proceedings, Part II. Lecture Notes in Computer Science 6089, Springer-Verlag, 2010. Lynda Hardman, Lora Aroyo, Eero Hyvönen (eds. ): AI and Cultural Heritage. Special Issue, Intelligent Systems, March/April, IEEE Computer Society, 2009. Lora Aroyo, Paolo Traverso, Fabio Ciravegna, Philipp Cimiano, Tom Heath, Eero Hyvönen, Riichiro Mizoguchi, Eyal Oren, Marta Sabou, Elena Paslaru Bontas Simperl (Eds. ): The Semantic Web: Research and Applications, 6th European Semantic Web Conference, ESWC 2009, Proceedings. Lecture Notes in Computer Science 5554 Springer-verlag 2009. Papers online. L. Aroyo, E. Hyvönen, J. van Ossenbruggen (eds): Proceedings of Workshop Cultural Heritage on the Semantic Web. The 6th International Semantic Web Confereence and the 2nd Asian Semantic Web Conference , Busan, Korea, 2007. E. Hyvönen, T. Kauppinen, M. Salminen, P. Ala-Siuru (eds): Proceedings of the 11th Finnish AI Confence, vol 2., Web Intelligence , Finnish AI Society, Finland, 2004. E. Hyvönen and M. Klemettinen (eds.) Towards the Semantic Web and Web Services. Proceedings of the XML Finland 2002 Conference. HIIT Publications 2002-03, Helsinki, 2002. E. Hyvönen (ed.) Semantic Web Kick-Off in Finland. Vision, Technologies, Research, and applications . HIIT Publications 2002-01, Helsinki, 2002, 304pp. E. Hyvönen (ed.) Inhimillinen tietokone -- konemainen ihminen (Human machine or machine-like human). The Helsinki University Press, 2001. E. Hyvönen, J. Seppänen (eds. ), Keinoelämä - Artificial Life, Publications of Finnish AI Society, Espoo, Finland, 1995, 274 pp. L. Haaparanta, E. Hyvönen E., J. Seppänen, J. Silvonen (eds.) Älyn ulottuvuudet ja oppihistoria (Dimensions and intellectual history of intelligence), Publications of Finnish AI Society, Espoo, Finland, 1995. E. Hyvönen, I. Karanta, M. Syrjänen (ed. ): Tekoälyn ensyklopedia (Encyclopedia of Artificial Intelligence). Gaudeamus, Helsinki, 1993, 356 pp. E. Hyvönen, J. Seppänen, M. Seppänen (eds. ): STeP-92 Tekoälyn uudet suunnat, Vol. 1, Esitelmät (STeP-92, New Directions of Artificial Intelligence, Vol. 1, Papers.). Suomen Tekoälyseura, Helsinki, 1992, 291 pp. E. Hyvönen, J. Seppänen, M. Seppänen (eds. ): STeP-92 Tekoälyn uudet suunnat, Vol. 2, Symposiot (STeP-92, New Directions of Artificial Intelligence, Vol. 2, Symposia.). Suomen Tekoälyseura, Helsinki, 1992, 243 pp. E. Hyvönen, J. Seppänen, M. Seppänen (eds. ): STeP-92 Tekoälyn uudet suunnat, Vol. 3, Työkokoukset (STeP-92, New Directions of Artificial Intelligence, Vol. 3, Workshops. ).Suomen Tekoälyseura, Helsinki, 1992, 211 pp. E. Hyvönen, J. Seppänen: Lisp-maailma: Johdatus kieleen ja ohjelmointiin. (Lisp World: Introduction to Language and Programming). Kirjayhtymä, Helsinki, 1986, 360 pp. Russia Edition: Mir Lispa 1. MIR Publishers, Moscow, 1990, 383+64 pp. E. Hyvönen, J. Seppänen: Lisp-maailma 2: Ohjelmointimenetelmät ja -jär-jestelmät. (Lisp World 2: Programming Techniques and Environments). Kirjayhtymä, 1987, Helsinki, 293 pp. Russian Edition: Mir Lispa 2. MIR Publishers, Moscow, 1990, 296+23 pp. 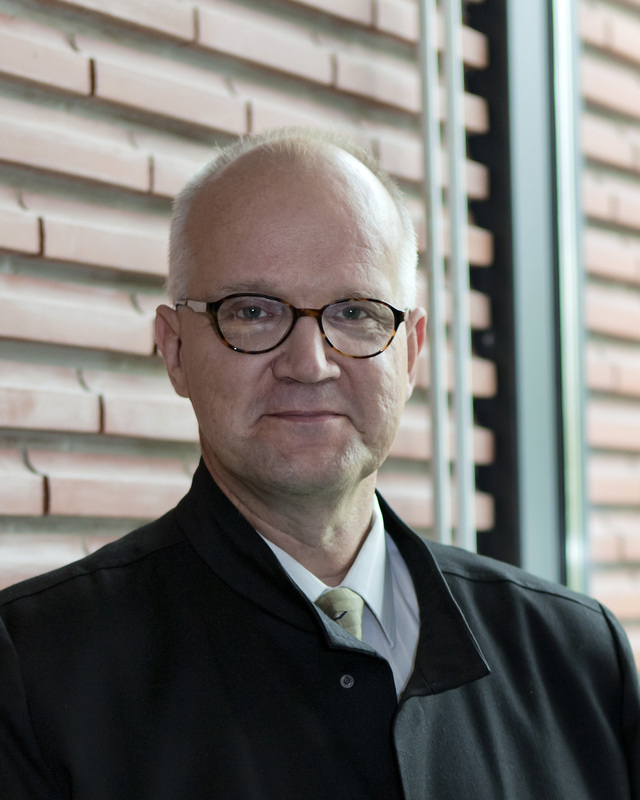 E. Hyvönen: Asiantuntijajärjestelmien tietämystekniikka (Expert systems and knowledge engineering). Knowledge Engineering Ky, Helsinki, 1985, 155 pp. E. Hyvönen, J. Seppänen and M. Seppänen (eds): STeP-84 Symposium Papers. Finnish Artificial Intelligence Symposium. Publications of Finnish Society of Information Processing Science, No 4, Espoo, 1984. E. Hyvönen, J. Seppänen and M. Seppänen (eds): STeP-84 Tutorial and Industrial Lectures. Finnish Artificial Intelligence Symposium. Publications of Finnish Society of Information Processing Science, No 5, Espoo, 1984. Welcome to the home page of the Semantic Computing Research Group (Seco) at the Aalto University and University of Helsinki. Semantic Web - Interoperability, Usability, Applicability, member of the editorial board. International Journal on Semantic Web and Information Systems (IJSWIS), member of the editorial board. International Journal of Semantic Computing (IJSC), member of the editorial board. International Journal of Metadata, Semantics and Ontologies (IJMSO), member of the editorial board. The 13th IEEE International Conference on Semantic Computing (ICSC 2019), Newport Beach, California, Jan 30 - Feb 1, 2019. LDK 2019 – 2nd Conference on Language, Data and Knowledge, Leipzig, Germany, May 20 - 22, 2019. 3rd Workshop on Humanities in the Semantic web (WHiSe III), Leipzig, Germany, May 20 - 22, 2019. The 16th Extended Semantic Web Conference (ESWC 2019), Portoroz, Slovenia, June 2-6, 2019. The 12th IEEE International Conference on Semantic Computing (ICSC 2018), Laguna Hills, California, Jan 31 - Feb 2, 2018. The 15th Extended Semantic Web Conference (ESWC 2018), Heraklion, Greece, June 3-7, 2018. Semantics 2018, Vienna, Austria, Sept 10-13, 2018. DC-2018: Open Metadata for Open Knowledge, Porto, Portugal, Sept 10-13, 2018. The 17th International Semantic Web Conference (ISWC 2018) , Monterey, California, Oct 8-12, 2018. The 8th Joint Semantic Web Technology Conference (KIST 2018) , Awaji City, Hyogo, Japan, Oct 26-28, 2018. K-CAP 2017 Knowledge Capture , Austin, Texas, United States, December 4-6, 2017. The 7th Joint International Semantic Technology Conference (JIST 2017) , Gold Coast, Australia, October 10-12, 2017. ACM SIGSPATIAL Workshop on Geospatial Humanities , Redondo Beach, California, USA, October 7, 2017. Visualization and Interaction for Ontologies and Linked Data (VOILA!2017), at ISWC 2017 , Vienna, Austria, October 21-25 2017. Workshop on Humanities in the Semantic Web (WHiSe II), at ISWC 2017 , Vienna, Austria, October 21-25 , 2017. The 3rd International Workshop on Semantic Web for Scientific Heritage (SW4SH 2017) , Portoroz, Slovenia, May 29, 2017. The 13th International Conference of Semantic Systems (Semantics 2017), Amsterdam, 11-14 September, 2017. Rich Semantics and Direct Representation for Digital Collections, Workshop at JCDL 2017, Toronto, Canada, 19-23 June, 2017. The 26th International World Wide Web Conference (WWW 2017), Perth, Australia, 3-7 April, 2017. The 11th IEEE International Conference on Semantic Computing (ICSC 2017), San Diago, California, Jan 30 - Feb 1, 2017. Visualization and Interaction for Ontologies and Linked Data (VOILA!2016), Workshop at ISWC 2016, Kobe, Japan, Oct 17-21, 2016. The 15th International Semantic Web Conference (ISWC 2016) , Kobe, Japan, Oct 17-21, 2016. DCMI International Conference on Dublin Core and Metadata Applications (DC-2016) , Copenhagen, Denmark, Oct 13-16, 2016. The 20th International Conference on Knowledge Engineering and Knowledge Management (EKAW 2016), Bologna, Italy, Nov 19-23, 2014. The 6th Joint International Semantic Technology Conference (JIST 2016), Singapore, Nov 2-4, 2016. The 13th Extended Semantic Web Conference (ESWC 2016), Crete, Greece, May 29 - June 2, 2016. 2nd Workshop on Semantic Web for Scientific Heritage - SW4SH, at ESWC 2016, Crete, Greece, May 29-30, 2016. 1st Workshop on Humanities in the Semantic Web - WHiSe, at ESWC 2016, Crete, Greece, May 29-30, 2016. The 6th International Workshop on Usage Analysis and the Web of Data (USEWOD 2016), at WWW 2016, April, 2016, Montreal, Canada. The 10th IEEE International Conference on Semantic Computing (ICSC 2016), Laguna Hills, California, Feb 3-5, 2016. The 14th International Semantic Web Conference (ISWC 2015) , Bethlehem, Pennsylvania, Oct 11-15, 2015. Visualizations and User Interfaces for Ontologies and Linked Data (VOILA 2015). Workshop at The 14th International Semantic Web Conference (ISWC 2015) , Bethlehem, Pennsylvania, Oct, 2015. Intelligent Exploration of Semantic Data (IESD 2015). Workshop at The 14th International Semantic Web Conference (ISWC 2015) , Bethlehem, Pennsylvania, Oct, 2015. DCMI International Conference on Dublin Core and Metadata Applications (DC 20145), Sao Paulo, Brazil, Sept 1-5, 2015. The 12th Extended Semantic Web Conference (ESWC 2015) , Portoroz, Slovenia, May 31 - June 4, 2015. The 24th International World Wide Web Conference (WWW 2015), Web Science Track, Florence, Italy, 18–22 May, 2015. The 15th ICWE 2015, Engineering the Web in the Big Data Era , Rotterdam, the Netherlands, 22–26 June 2015. Biographical Data in a Digital World - Workshop., Amsterdam, April 9, 2015. The 9th IEEE International Conference on Semantic Computing (ICSC 2015), Anaheim, California, Feb 9-11, 2015. The 29th AAAI Conference on Artificial Intelligence (AAAI 2015), Austin, Texas, Jan 25-29, 2015. The 19th International Conference on Knowledge Engineering and Knowledge Management (EKAW 2014), Linköping, Sweden, Nov 24-28, 2014. The 4th Joint International Semantic Technology Conference (JIST 2014), Chiang Mai, Thailand, Nov 9-11, 2014. The 14th International Semantic Web Confrerence (ISWC 2014), Trentino, Italy, Oct 19-23, 2014. DCMI International Conference on Dublin Core and Metadata Applications (DC-2014), Austin, Texas, Oct 8-11, 2014. Workshop on New Methods and Tools for Big Data (MT4BD 2014) , Island for Rhodes, Greece, Sept 19-21, 2014. The 1st International Workshop on Geospatial Linked Data , Leibzig, Germany, Sept 1, 2014. The 4th International Workshop on Usage Analysis and the Web of Data (USEWOD 2014), at ESWC 2014, 2014. The 11th Extended Semantic Web Conference (ESWC 2014), Crete, Greece,May 26-30, 2014. The 8th IEEE International Conference on Semantic Computing (ICSC 2014), Newport Peach, California, June 16 - 18, 2014. The 23th World Wide Web Confrerence (WWW 2014), Demo Program , Seoul, Korea, April 7-11, 2014. The 12th International Semantic Web Confrerence (ISWC 2013), Sydney, Australia, Oct 21-25, 2013. Practical Experiences with CIDOC CRM and its Extensions (CRMEX 2013), Valletta, Malta, Sept 26, 2013. DC-2013, DCMI Conference on Dublin Core and Metadata Applications, Lisbon, Portugal, Sept 2 - 6, 2013. The 7th IEEE International Conference on Semantic Computing (ICSC 2013), Irvine, California, Sept 16 - 18, 2013. The 19th International Conference on Knowledge Engineering and Knowledge Management (EKAW 2014), Linköping, Sweden, Nov 24-28, 2014. Singapore, August 16, 2013. Workshop on Human-Semantic Web Interaction (HSWI’13), Madrid, Spain, June 12-14, 2013. The 10th Extended Semantic Web Conference (ESWC 2013), Montpellier, France, May 26 - 30, 2013. The 22th World Wide Web Conference (WWW 2013), Demo Track, Rio de Janeiro, Brazil, May 13 - 17, 2013. The 6th IEEE International Conference on Semantic Computing (ICSC 2012), Palermo, Italy, Sept 19 - 21, 2012. The 18th International Conference on Knowledge Engineering and Knowledge Management (EKAW 2012), Galway, Ireland, Oct 8 - 12, 2012. DC-2012, DCMI Conference on Dublin Core and Metadata Applications, Kuching. Sarawat, Malaysia, Sept 3 - 7, 2012. The 9th Extended Semantic Web Conference (ESWC 2012), Crete. Greece, May 27 - 31, 2012. The 2nd International Workshop on Usage Analysis and the Web of Data (USEWOD 2012), at the 21st World Wide Web Conference 2012, Lyon, France, April 17th, 2012. The 21st World Wide Web Conference 2012 (WWW 2012), demo track, Lyon. France, April 16 - 20, 2012. The 10th International Semantic Web Confrerence (ISWC 2011), Bonn, Germany, Oct 23-26, 2011. The DCMI Conference of Dublin Core and Metadata Applications (DC 2011), The Hague, Netherlands, Sept 21-23, 2011. The 22th International Joint Conference on Artificial Intelligence (IJCAI 2011), Barcelona. Spain, July 16-22, 2011. The 8th Extended Semantic Web Conference (ESWC 2011), Crete. Greece, May - June, 2011. The 6th International Conference on Grid and Pervasive Computing, Oulu, Finland, May 11-13, 2011. The 1st International Workshop on Usage Analysis and the Web of Data (USEWOD 2011), at the 20th World Wide Web Conference 2011, Hyderabad, India, March 28th, 2011. The 4th Metadata and Semantics Research Conference, Alcala de Henares, Spain, Oct 20-22, 2010. EKAW 2010 - Knowledge Engineering and Knowledge Management by the Masses, Lisbon, Portugal, Oct 11-15, 2010. ICSC 2010 Fourth IEEE International Conference on Semantic Computing September, Carnegie Mellon University, Pittsburgh, PA, USA, Sept 22-24, 2010. The 6th Extended Semantic Web Conference (ESWC 2010) 2010, Crete. Greece, May 31 - June 3, 2010. 6th Workshop on Scripting and Development for the Semantic Web, Crete. Greece, May 31, 2010. The 2010 ESWC Workshop on Ontology Repositories and Editors , Crete. Greece, May 31, 2010. The 19th International World Wide Web Conference (WWW 2010), Semantic / Data Web, Raleigh, NC, USA, April 26-30, 2010. The 8th International Semantic Web Conference (ISWC 2009), Washington D.C., Oct 25-29, 2009. The Third International Conference on Metadata and Semantics Research, Milan, Italy, Sept 30 - Oct 2, 2009. The Third IEEE International Conference on Semantic Computing , Berkeley, CA, USA - September 14-16, 2009. The Workshop on Service-oriented Coordinated Multimedia (SCCM 2009), at World Congress of Services (SERVICES), Los Angeles, USA, July 7, 2009. The 5th Workshop on Scripting and Development for the Semantic Web, at ESCW-2008, Crete, Greece, June 1, 2009. The 6th European Semantic Web Conference (ESWC 2009) 2009, Crete. Greece, May 31 - June 2, 2009. The Second IEEE International Conference on Semantic Computing, Santa Clara, CA, USA - August 4-7, 2008. The 3rd Asian Semantic Web Conference (ASWC 2008) Pathumthami, Thailand, Dec 8-11. 2008. The 2nd International OPAALS Conference on Digital Ecosystems 2008, Tampere, Finland, Oct. 7-8. 2008. The First Workshop on Semantic Interoperability in the European Digital Library (SIEDL 2008), at ESWC-2008, Tenerife, Spain, June 1, 2008. The 4th Workshop on Scripting for the Semantic Web (SFSW 2008), at ESWC-2008, Tenerife, Spain, June 1, 2008. The 5th European Semantic Web Conference ESWC 2008, Tenerife, Spain, June 1-5, 2008. The 10th Scandinavian Artificial Intelligence Conference SCAI 2008, Stockholm, Sweden, May 26-28, 2008. The First International Workshop on Cultural Heritage on the Semantic Web, Busan, Korea, Nov 12, 2007. The 6th International Semantic Web Conference (ISWC 2007) and the 2nd Asian Sermantic Web Conference (ASWC 2007), Busan, Korea, Nov 11-15, 2007. The 2th International Conference on Metadata and Semantics Research (MTSR 2007) and the 2nd Asian Sermantic Web Conference (ASWC 2007), Corfu, Greece, Oct 11-12, 2007. The First International Conference on Semantic Computing, Irvine, California, USA, Sept 17-19, 2007. Museums and the Web 2007, San Francisco, California, USA, April 11-14, 2007. Mobile Service-oriented Architechtures adn Ontologies (MoSo 2007), Mannheim, Germany, April 11, 2007. The First International Workshop on Semantic-enhanced Multimedia Presentation Systems (SEMPS 2006) Athens, Greece, December 6, 2006. Semantics 2006 -- From Visions to Applications. The New Paradigm Shift in IT, Vienna, Austria, November 28-30, 2006. The 5th International Semantic Web Conference (ISWC2006), Doctoral Consortium, November 6, 2006, Athens, Georgia, USA. The 3rd International Semantic Web User Interaction Workshop (SWUI 2006), November 6, 2006, Athens, Georgia, USA, collocated with ISWC 2006. The 9th Scandinavian Artificial Intelligence Conference (SCAI 2006), Espoo, Finland, October 25-27, 2006. The 3rd European Semantic Web Conference ESWC-2006, Budva, Montenegro, June 11-14, 2006. Digital Semantic Content across Cultures, The Louvre, Paris, May 4-5, 2006. Mobile Data Management Conference (MDM´06), Mobile Services and Ontologies (MoSO 2006) Workshop, Nara, Japan, May 8-12, 2006. Museums and the Web 2006, Albuquerque, New Mexico, USA, March 22-25, 2006. Canadian Semantic Web Working Symposium, the 19th Canadian Conference on Artificial Intelligence, Quebec City, Quebec, Canada, June 6, 2006. Semantics 2005, Semantic Systems in the Knowledge Society, Vienna, Austria, Nov. 23-25, 2005. Kohti suomalaista semanttista webiä (Towards the Finnish Semantic Web), Espoo, Finland, Nov. 16, 2005. The First Online Metadata and Semantics Research Conference (MTSR'05), November 2005. Museums and the Web 2005, Vancouver, Canada, April 2005. Eero Hyvönen (toim.). Ohjelmistoliiketoiminta (Software Business). WSOY, 2003, 250 pp. Entropreneural background, teaching activities at the University of Helsinki, and board member in various software business organizations until 2004.